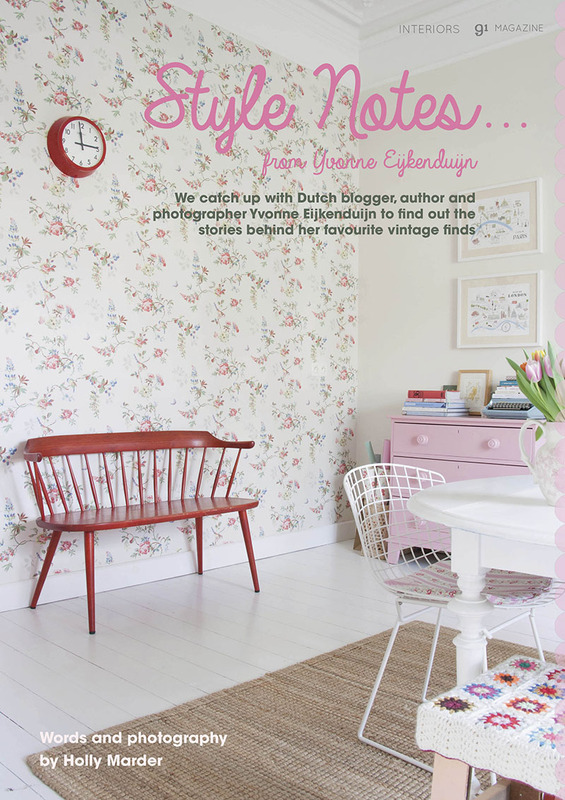 A few months ago I hopped in the car and went to visit interiors author and blogger Yvonne Eijkenduijn at her home in Belgium to photograph some of her favourite vintage finds for a feature in the lovely British online publication 91 Magazine. 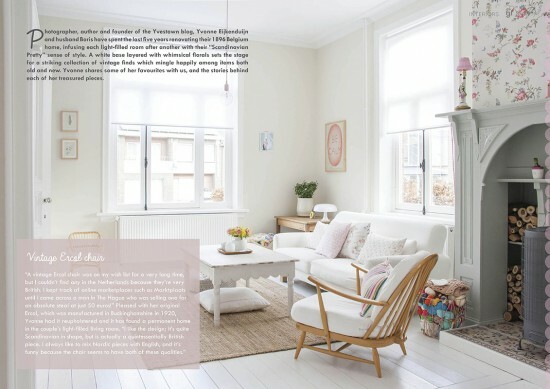 Those of you who know of Yvonne will know that this was a truly tough job because her light and lovely ‘Scandinavian Pretty’ home is filled with treasures both old and new, but I’m thrilled to see the results in the latest issue of 91 Magazine, which just hit the shelves. This was a particularly fun assignment not only because I think Yvonne herself is pretty fabulous, but because just being in her home and presence is an experience in itself. She has so carefully decorated her home with such attention to detail and a true passion for interiors, after having painstakingly turned what was once a destitute, sorry old property into the cheerful home you see in these images. Curious to see what else this issue of 91 Magazine has in store for you? You can preview this issue HERE, before popping over to 91 Magazine to grab your online copy. It’s about €3 per copy or about €10 for a 12 month subscription and it’s an absolute joy to flick through, filled with beautiful images, inspiring features and lots of thrifty and crafty ideas for the home. 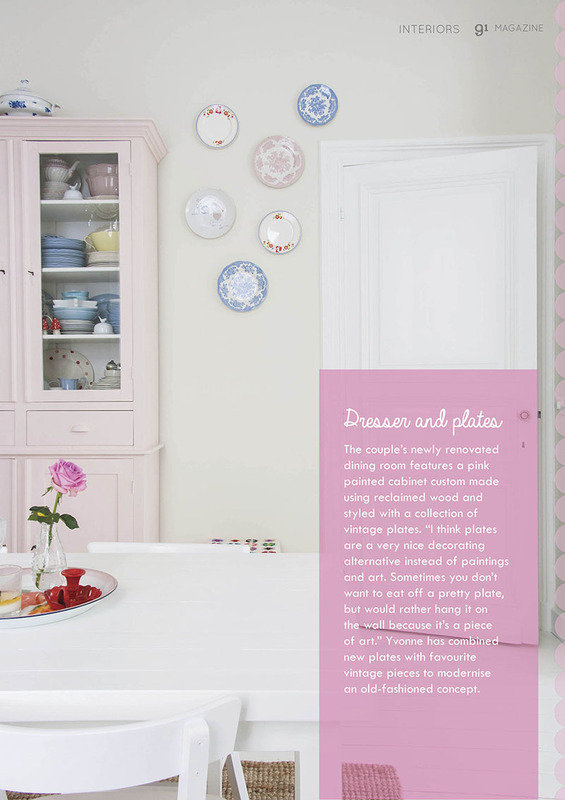 The magazine is available to read on desktop computer, smart phone and tablet devices. Once purchased, the magazine is yours to read as many times as you wish. It was a big decision for Editor-in-Chief Caroline Rowland to start asking a small fee for each issue, but so many talented contributors pour their heart and soul into the features that she publishes that she decided to take the leap. I’d love for you to go ahead and support this lovely publication! 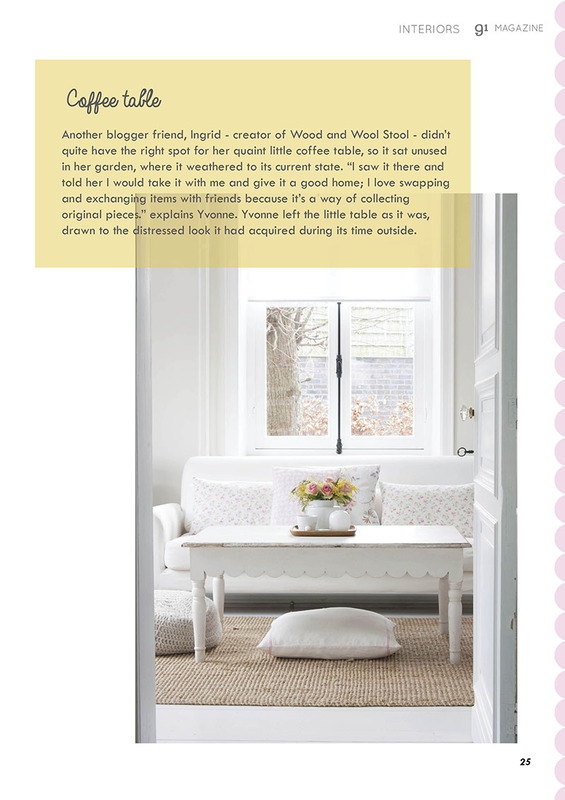 Huge thanks to Yvonne for opening up your doors to me and my camera for this feature! Had a ball in your company, as always.